April 11, 2018, 2:53 p.m.
By Josh Schwartz April 11, 2018, 2:53 p.m.
Two weeks ago, we published an analysis showing the rise of Google Chrome Suggestions(GCS) — suggested links that appear in any new tab of Chrome on mobile devices. In response, we received an outpouring of questions on Twitter and email. 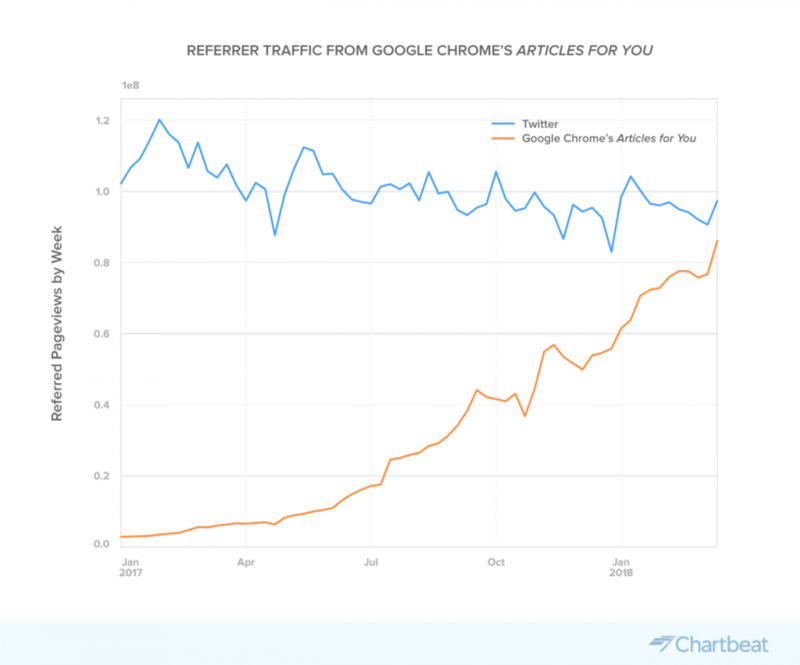 While other major referral sources are relatively well-understood, GCS or “Articles for you” is new enough that, as far as we’ve seen, there is essentially no information out there describing its traffic. With that in mind, and with much still unknown, we wanted to walk through what we can say about GCS traffic. Our first question was whether GCS performance stemmed from search performance. In other words, are stories that generate a high amount of search interest likely to do well on GCS? The answer, it seems, is mixed: Stories that do well on GCS are likely to also do well in search. According to our research, there was a moderately strong 0.43 correlation between GCS traffic and Google Search traffic for a random sample of 10,000 stories that received GCS traffic. On the other hand, the converse is not true: The overwhelming majority of stories getting traffic from Google Search on a given day do not receive any traffic from GCS. If we turn to other Google products, there seems to be even less of a relationship: There is essentially no correlation (0.12) when comparing the same stories’ traffic from GCS and Google News. Because Google Search traffic has somewhat of an evergreen nature, next we wondered whether GCS surfaced old or new stories. The answer: GCS is strongly biased toward new stories, with over 97 percent of traffic from GCS happening on pages published in the past two days.3 By comparison, about 63 percent of Google Search traffic to articles lands on pages published in the previous two days. Although GCS is biased toward recent stories, it’s also somewhat slower to pick stories up than Google Search. 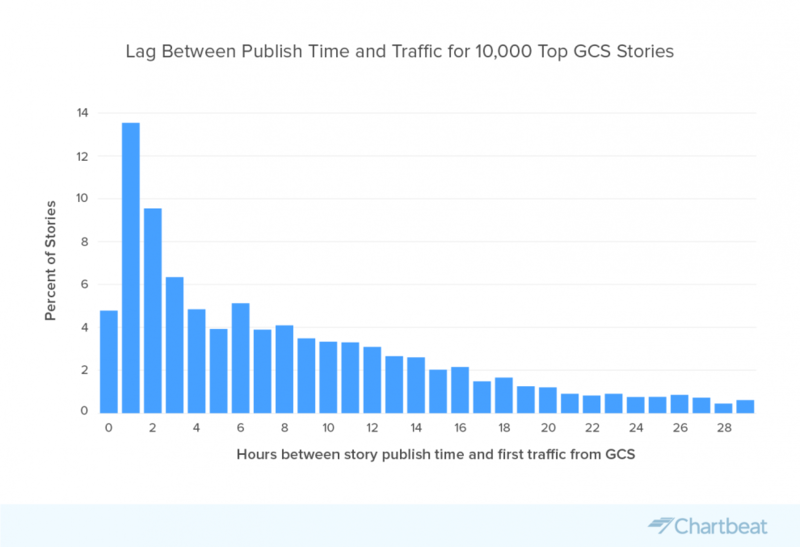 Whereas half of pages that get search traffic receive traffic from Google Search within an hour of publication, only about 5 percent of stories that show up in GCS do so within the first hour. 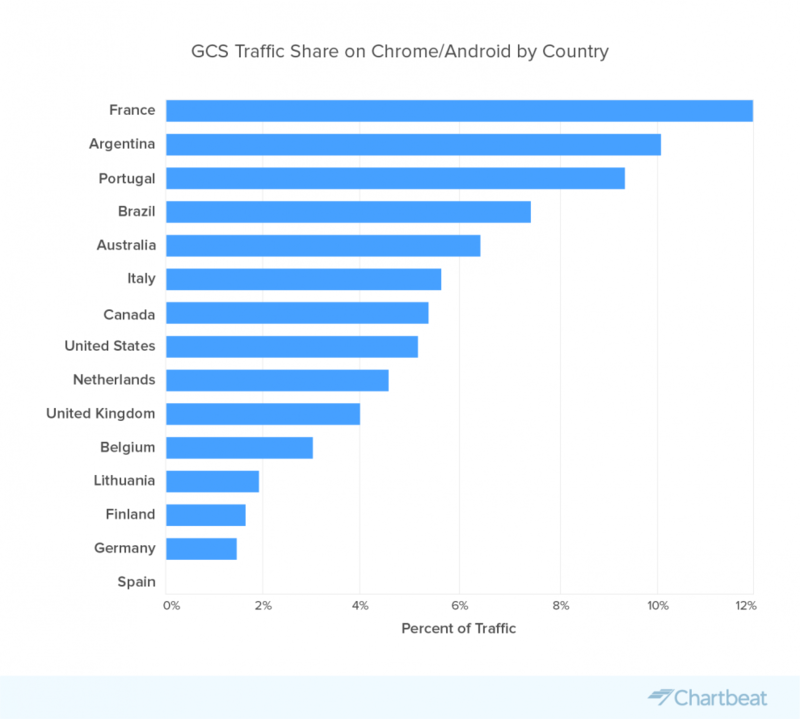 Sites based in Latin America and some parts of Europe, where over 10 percent of Chrome traffic may be coming from GCS referrals, are much more likely to benefit from GCS traffic. Josh Schwartz is head of product, engineering, and data at Chartbeat, where a version of this piece ran. POSTED April 11, 2018, 2:53 p.m.
Schwartz, Josh. 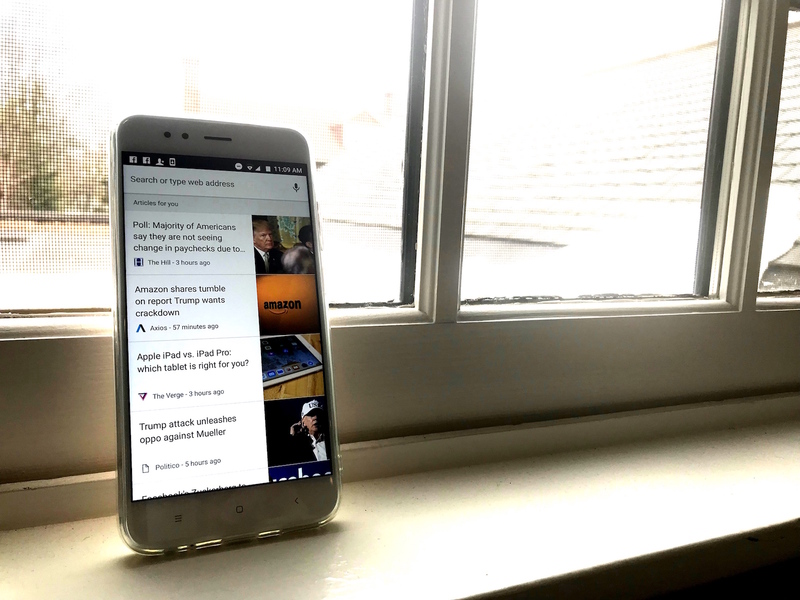 "Here’s what we know so far about Google Chrome’s mobile article recommendations, the next major traffic driver for publishers." Nieman Journalism Lab. Nieman Foundation for Journalism at Harvard, 11 Apr. 2018. Web. 20 Apr. 2019. Schwartz, Josh. 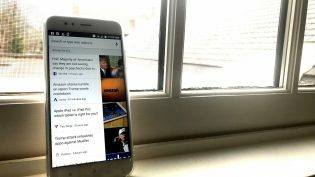 "Here’s what we know so far about Google Chrome’s mobile article recommendations, the next major traffic driver for publishers." Nieman Journalism Lab. Last modified April 11, 2018. 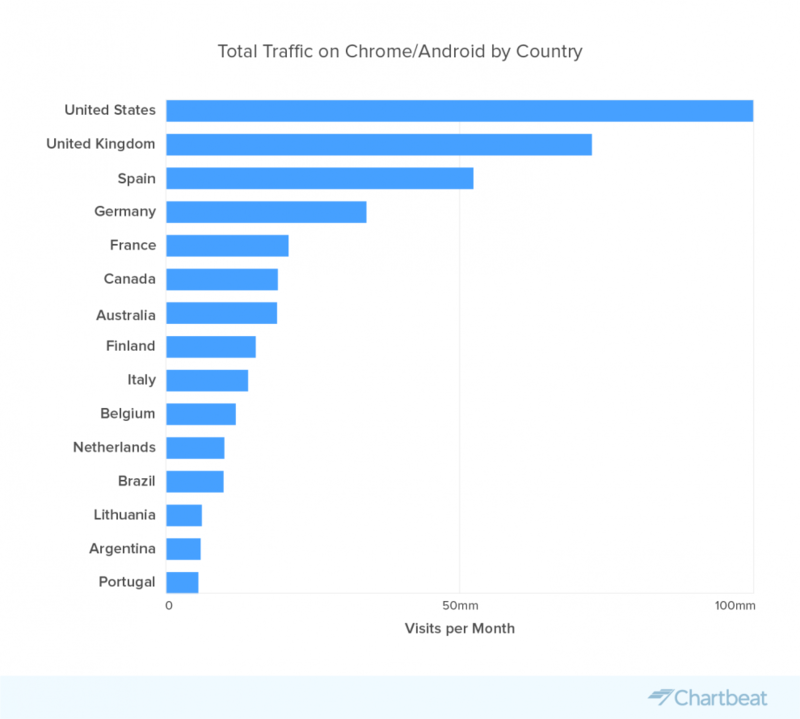 Accessed April 20, 2019. https://www.niemanlab.org/2018/04/heres-what-we-know-so-far-about-google-chromes-mobile-article-recommendations-the-next-major-traffic-driver-for-publishers/.